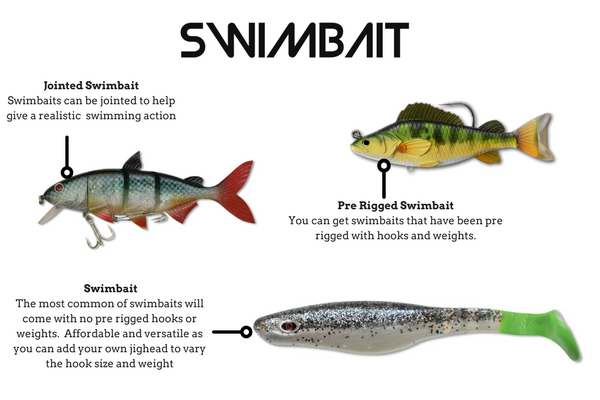 The swimbait a versatile lure that can be used year round for all fishing situations and conditions. This is a bait for every tacklebox. You can use a swimbait/paddletail/boottail/rubbershad at any time of the year and in any situation. I have found that using a bigger swimbait in the colder months will generally produce better results. Especially when fished slowly. 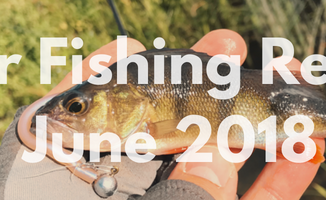 During the warmer months, I will tend to use the smaller lures to match the hatch but as a rule they will work year-round. 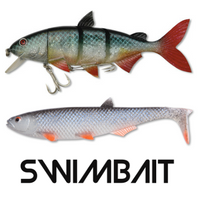 These lures come in a vast range of sizes shapes and colours all designed to mimic the prey fish of your target species. Versatility comes to mind when anglers think of these lures. 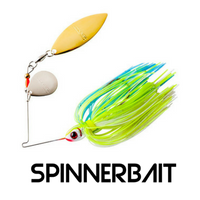 If you asked me what one lure I would want with me on a deserted island it would be one of these. Anglers can work these lures at all depths in open water and around cover with a slow retrieve or a fast retrieve bumped off the bottom or at mid water. The swimbait will just work. 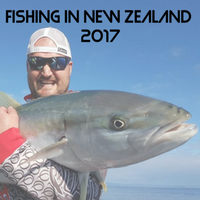 With the vast range of designs available in the market place I would recommend trying to choose a bait that will closest mimic the food of the predator fish you are targeting. Tips: Try larger baits retrieved slowly during the colder months. Try smaller baits retrieved erratically during warmer months. Anywhere. 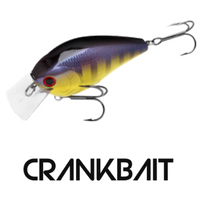 These baits are effective in deep water, shallow water, around structure in the open on rivers, reservoirs and in the sea. My favourite place to use these is on larger bodies of water where in the warmer months I target the backs of coves. This is where baitfish will stack up. During the colder months I target main lake points and areas where there are sharp depth changes. On rivers I will cast parallel with the bank and vary my retrieve speed to get the best results.